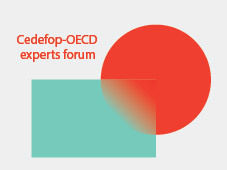 Cedefop and the OECD are co-organising a one day experts’ forum on the role of VET and VET-related measures to help adult refugees, including people in clear need of international protection, to quickly integrate in the labour market and on how countries have responded to the recent arrivals. The event aims at supporting exchange of national experiences and discussing possible European VET and VET-related solutions that could support relocation of adult people in clear need of international protection on the European territory, favouring a rapid labour market integration and possible co-operation mechanisms between a transit country and a host country. Discussions are expected to have both a technical and policy nature, and will be interdisciplinary with issues touching upon VET, active labour market policies and migration. representatives of EU and international institutions, including the European Commission, European social partners, ETF, UNHCR and ILO.